Using only one type of oil is like eating only one type of fruit! 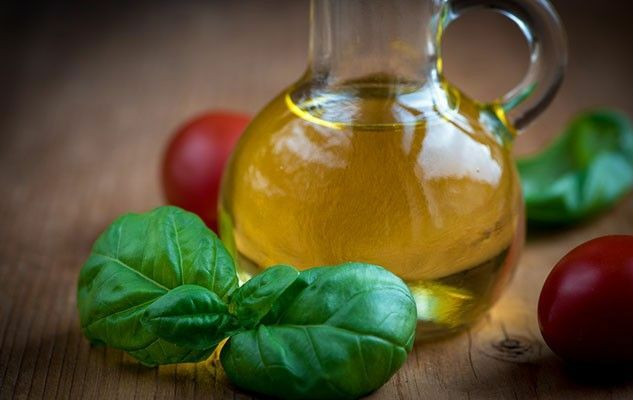 Each kind of oil has its own flavour, nutritional qualities and uses. Extra-virgin olive oil for vinaigrettes and for pouring cold over vegetables and grills. Either omega-3 rich and neutral tasting canola oil, or the more flavourful ordinary olive oil for cooking. Peanut oil for deep frying, as it is much more heat resistant than other oils. And finally for a special and distinct flavour in certain recipes, sesame oil or sunflower oil. Well, whatever kind you buy, just make sure to keep it well bottled in a cool place, away from light. Originally published in the Journal de Montréal on July 29, 2006. Great info. Could you give us a rough idea about how much a bottle of extra virgin olive oil should cost? I bought one at 6$/L at Real Canadian Superstore, but my girlfriend says this cannot be “true” extra virgin. Hello Kevin. I am afraid your girlfriend is quite right: You should expect to pay a minimum of 10$/L for a bottle of extra virgin olive oil. I would also recommend to check for the expiry date and recommend you to choose the freshest bottle (unlike wine, olive oil does not age well).